In June 2016 we reported that SDC's new chief is changing the direction of the company - focusing on flexible OLEDs and aiming to dispose some of the loss making LCD business. 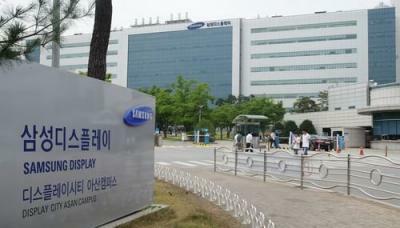 SDC was said to be looking to sell at least some of its L7 LCD lines at the Tangjeong plant in Asan, and convert these lines to flexible OLED lines. Samsung's current capacity is about 300 million AMOLED display in a year, out of which almost 100 million are flexible displays - produced at the company's A3 Gen-6 Flexible OLED line that can handle around 15,000 substrates per month. SDC's AMOLED supply is quite tight - and the company is refusing new orders from companies. According to report SDC plans to double its AMOLED capacity by around 2019. The company reportedly signed a contract to supply 100 million flexible AMOLED panels to Apple starting in 2017 or 2018. According to a report earlier this year, SDC decided to double the capacity of its A3 flexible OLED line. $325 million in new equipment orders were already placed which will increase A3's capacity to 30,000 monthly substrates by early 2017. According to a different report Samsung Display will invest around $6.8 billion in 2016 to boost capacity, which will translate to a yearly capacity of over 200 million smartphone-sized panels. If SDC wants to capitalize on its AMOLED virtual monopoly, sign new contracts and expands its lead - it will need to increase production capacity - and fast. According to a new report from Korea, Samsung decided to stop waiting for a buyer for the L7 LCD equipment - and simply take it apart and actually pay a company to throw the whole fab away.